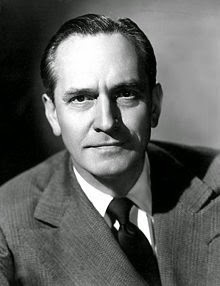 Though he's appeared in some of my favorite films, Fredric March has never really been on my radar. I've always enjoyed him, and I think he's talented, but I've tended to take him for granted. I've now been cured of my blasé attitude thanks to the release of several March films from Warner Archive. I unintentionally watched these films in chronological order, which ended up being fascinating, because I got to see March developing his talent over the course of ten years. It struck me how diverse he was as a performer, able to handle comedy and drama with equal ease, sometimes switching between the two in a matter of moments. March was also less reliant on his persona than many of the stars, and even character actors, of his time. The three films reviewed here are very different in tone and structure and he appears dramatically different in each one. He was remarkably able to disappear into a role. This drama based on the lesser-known Tolstoy novel Resurrection is perhaps best remembered for being one of Samuel Goldwyn's failed attempts to make Anna Sten a movie idol. The Russian actress was beautiful, but had limited range as an actress, and didn't have the star power to pick up the slack. It's a beautiful production though, with gorgeous sets and costumes that live up to the famous Goldwyn standard. Full of orgies, elaborate church services, smart stepping officers and large groups of wailing folk musicians, it is a fascinating portrait of Russia, Hollywood-style. March is Dmitri, a prince who falls in love with peasant girl Katusha (Sten). After a night of passion, he leaves her for the armed forces, unaware that she is pregnant. Fired for her indiscretion, Katusha's child dies and she is forced into prostitution. When she gets in trouble with the law, the now more worldly woman is discovered again by Dmitri, and he tries to make up for the wrong he has done. The movie jumps quickly through time, as must happen if an epic novel is to fit into 80 minutes. Predictably, the politics in the novel are mostly set aside for romance. March elegantly manages the lightning quick changes his character must appear to be making over many years. He never seems less than sincere, and even manages to draw some passion out of his scenes with the oddly blank Sten. In a dramatically different role, March plays William Spence, an aspiring Canadian medical student who gets the calling and becomes a Methodist pastor. Over the course of his career, Spence led congregations throughout the American Midwest. 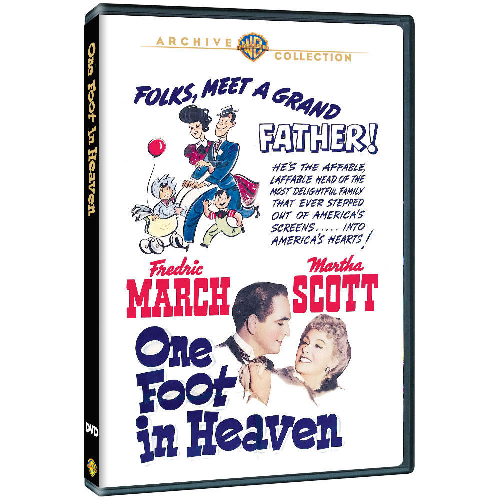 Based on his son Hartzell's memoirs, this episodic movie isn't quite a forgotten classic, but is charming nevertheless. I've always been a bit wary of Hollywood biopics. Despite the diversity of subjects, they always seem to plod through the same basic challenges, awkwardly jumping from one event to the next in an attempt to cram everything into formal dramatic structure. While Spence's biography can get lost in its rambling, it has a natural ease that gives you the feeling of bumping along a country road in a wooden wagon. It also jumps right into his religious career, avoiding any tedious childhood exposition. March gives his character a lived-in feel, avoiding the glossy perfection of the typical biopic hero. He lets himself be cranky and overbearing, while never abandoning the well-meaning man at the heart of it all. 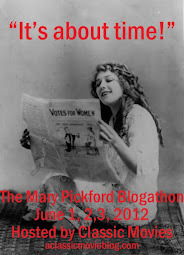 As his loyal wife, Martha Scott matches March in temperament and determination. They're a great team, whether in the midst of an argument or quietly supporting each other through a new challenge. I especially liked a scene set in a movie theater, where Spence tries, and fails, to show his son the immorality of films. It's a great picture of the early days of cinema, with booing audience members, snack vendors in the aisles, and excited kids struggling to stay put in rickety chairs. Whenever the film seems to be rattling off a story with no point, it draws you back in with moments like these. 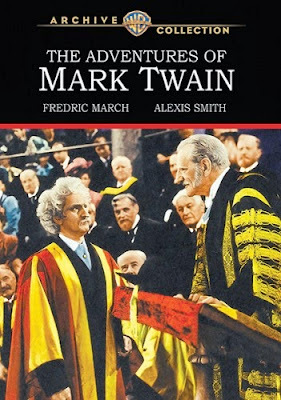 March truly disappears into his role in this also remarkably entertaining biopic of writer Samuel Clemens, more famously known as Mark Twain. With a crazy beak of a nose and a wild wig, he even looks like the author. It's an unruly epic, full of the cynically witty humor that made its subject famous. Max Steiner does a remarkable job with the score, making it sound lazy river relaxed, but somehow grand at the same time. It is the perfect underscoring for an early steamboat scene, set in a misty evening so beautifully staged that you can almost feel the dampness of the air. March lives up to these magnificent trappings, so lost in the spirit of Twain that you have to remind yourself who you are watching. Alexis Smith is also appealing as Twain's wife, projecting more warmth than she is usually allowed, in a role that doesn't give her much to do, but which she gives sympathetic life. It is a remarkable portrait, beautifully capturing the spirit of its subject, most of all because of March's astonishing performance. 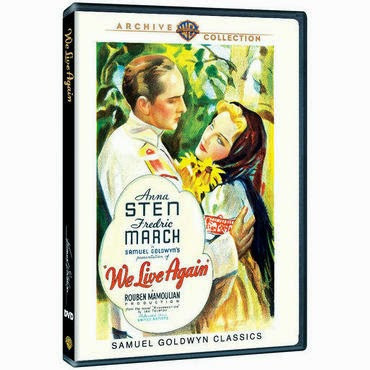 The March epic Anthony Adverse (1936), co-starring Olivia de Havilland is also now available from the Archive.